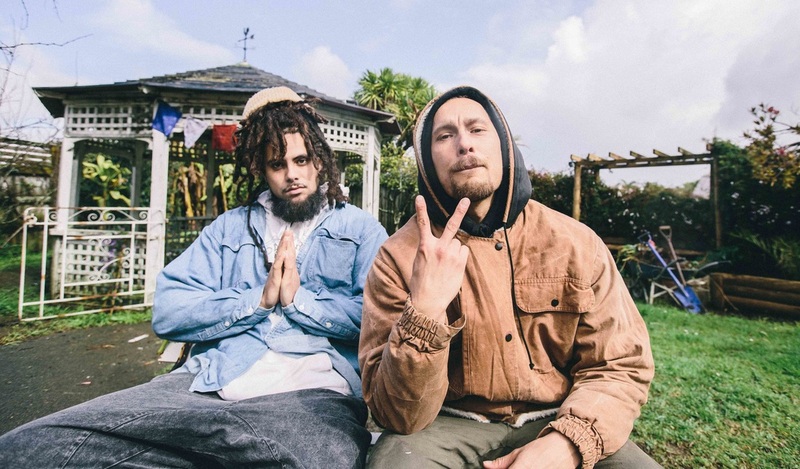 Third3ye represents a collective of like-minded artists with front men Melodownz and Angelo King coming together to produce a spiritually-conscious form of hip hop all the way from sunny Aotearaoa, New Zealand. As a collective the crew is all about experimenting with new sounds and creative content. While pushing messages of philosphy, enlightenment and higher consciousness mixed with real life experiences and raw ideas, whether it be from a pictured backdrop in Queenstown, or the back streets of Pukekohe and Avondale. Third3ye have been making sound waves across Aotearoa since their 2014 debut album release ‘On3ness’, They have performed at a number of NZ’s leading festivals, including Laneways, Rhythm & Vines, Homegrown, Bay Dreams, Soundsplash, Twisted frequency and Discombobulation. On top of there festival success third3ye have organised and been apart of a number of sell out shows across the country where they have spread their message of love, peace humanity and interconnectedness. A hip hop outfit with a soul twist, Third3ye is set to make noise internationally in 2016 and the years to come with plans of their sophomore album already in the cooker & their latest work of art '3P' EP due out August 2016.